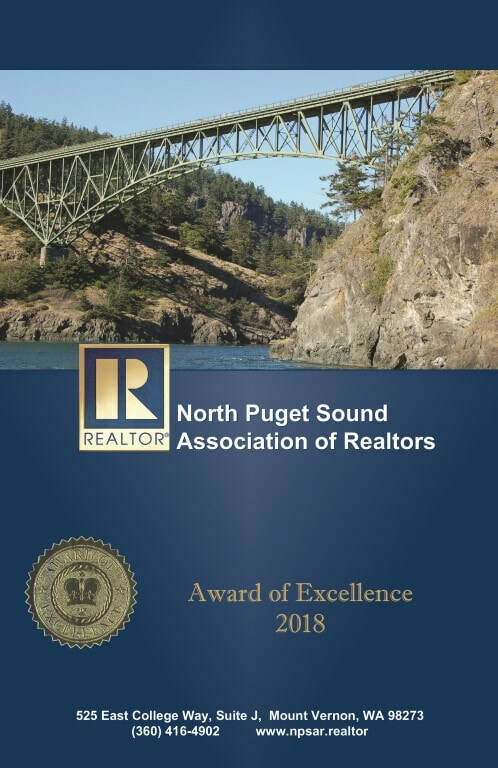 The North Puget Sound Association of REALTORS® is currently accepting applications for the Brandon Koetje Memorial Scholarship serving Skagit County students and the George Koetje Scholarship serving North Whidbey Island. The purpose of these scholarships is to assist a deserving student further their education at an accredited WA State school. Applications must be received no later than April 22, 2019 for the George Koetje Scholarship (North Island) and May 31, 2019 for Brandon Koetje Memorial Scholarship (Skagit). Tax season is upon us once again, and to make it even more interesting this year, the tax code has changed — along with the rules about tax deductions for homeowners. The biggest change? Many homeowners who used to write off their property taxes and the interest they pay their mortgage will no longer be able to. Stay calm. This doesn’t automatically mean your taxes are going up. Here’s a roundup of the rules that will affect homeowners — and how big of a change to expect. Click on the photo above to view the entire gallery of images. Without Congressional action, the National Flood Insurance Program (NFIP) will lapse at midnight on Friday, November 30, 2018. NAR is making every effort to secure a long-term reauthorization before then. Here are the answers to some frequently asked questions. What are the prospects for an extension? All early indications point to an on-time extension of the NFIP. Congressional leaders are engaged. Legislation to extend the program has been introduced, and there are multiple pathways to passage before November 30th. All previous extensions were on time or within a few days of the deadline minimizing the market impacts. This is not a simple up-and-down vote on an extension bill by itself. Rather, the extension is expected to be attached to a broader legislative vehicle, possibly the Omnibus bill to fund the government. Because there are multiple moving parts, discussions have been on-going, and no decisions are likely to be made until closer to the deadline. NAR is in regular communication with Congressional leaders. NAR is coordinating with a broad coalition of industry groups. Read our most recent coalition letter. Hundreds of members of Congress have been contacted about the importance of NFIP since August. NAR has raised the profile of the issue with multiple calls for action, talking points, op-eds and paid ads. Click here for the latest example of the heightened coverage the press is giving this issue. Attached is an advanced copy of President Smaby's Op-Ed soon to be published in The Hill newspaper, which is read by many members of Congress and their staff. NAR will continue to closely monitor the situation and is prepared to escalate our grassroots efforts if it becomes necessary. We should know more on Monday, November 26th. What happens during a lapse? The NFIP cannot sell or renew flood insurance policies. The NFIP can pay claims as long as funds are available, but may not borrow more from the U.S. Treasury. The federal requirement to purchase flood insurance is also suspended during a lapse, which means it is entirely up to lenders to decide whether to make loans in special flood hazard areas while flood insurance is not available from the NFIP. What about my client's flood insurance? Existing NFIP policies will remain in effect until their expiration date (which is the renewal date plus a 30-day grace period), and claims will continue to be paid as long as FEMA has the funds on hand. Existing policies may also be "assigned" to/assumed by property buyers during a lapse (see p. 3 here). Renewal policies are generally issued as long as the application is received prior to a lapse and the premium is received within the 30-day grace period. Other renewals must wait for reauthorization. Private flood insurance backed by a source other than NFIP (e.g., Lloyd's of London) are not affected by a lapse. Click here and here for some options. During a lapse, some lenders may opt to make special-flood-hazard-area loans without NFIP insurance, but they must be willing to bear the full risk of their decision and few do in NAR's experience. The new TILA-RESPA Integrated Disclosure (TRID) rules for mortgage closings took effect for new loan applications on October 3. The Director of the Consumer Financial Protection Bureau, on behalf of the six federal financial regulatory agencies, provided written assurances that the early enforcement of the new rules will take into account the good faith efforts of supervised entities. The letter coincides with Director Cordray’s testimony on September 29 before the House Financial Services Committee that early enforcement efforts would be corrective and not punitive for a period of several months. This letter is the result of NAR’s joining with numerous industry partners to request this written assurance so that lending institutions can proceed with closings under the new rule in a timely manner.